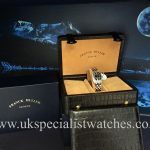 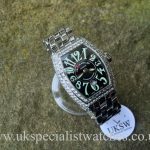 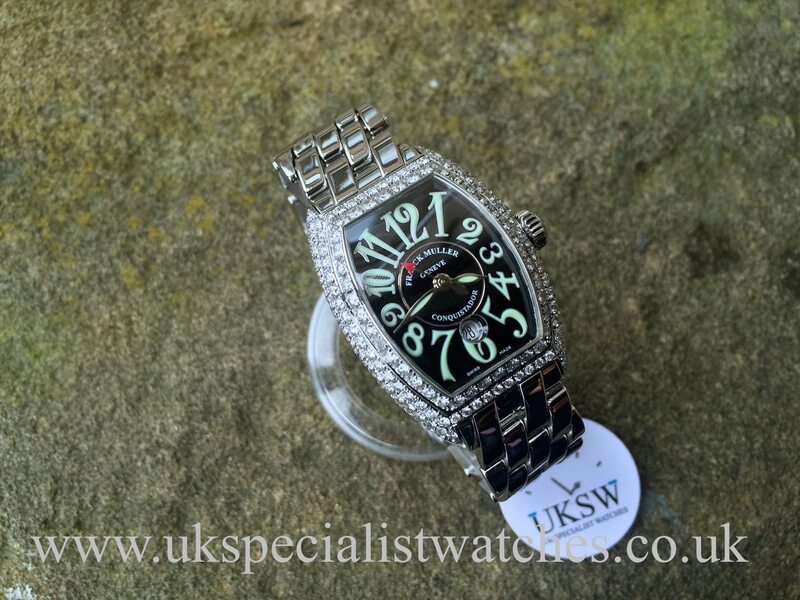 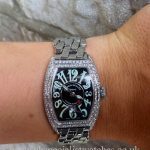 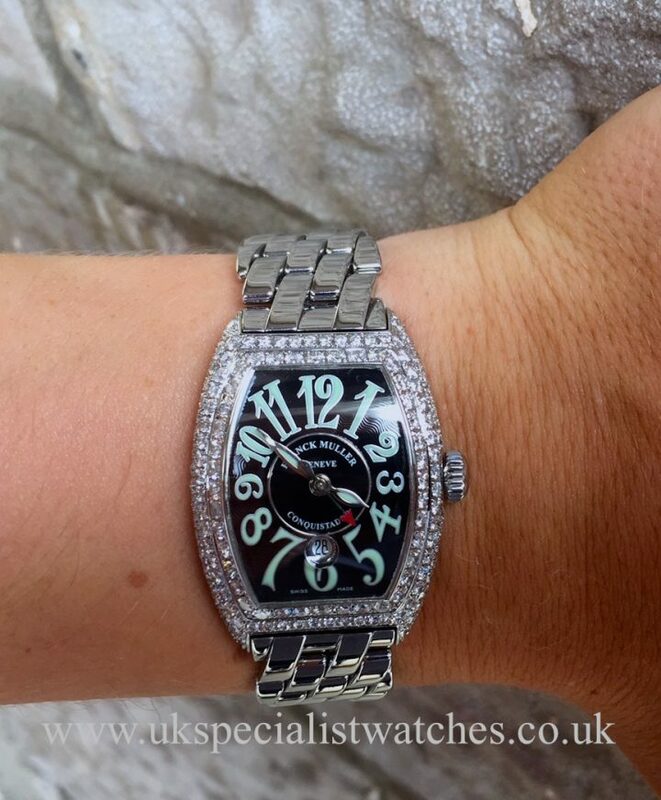 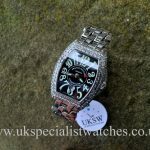 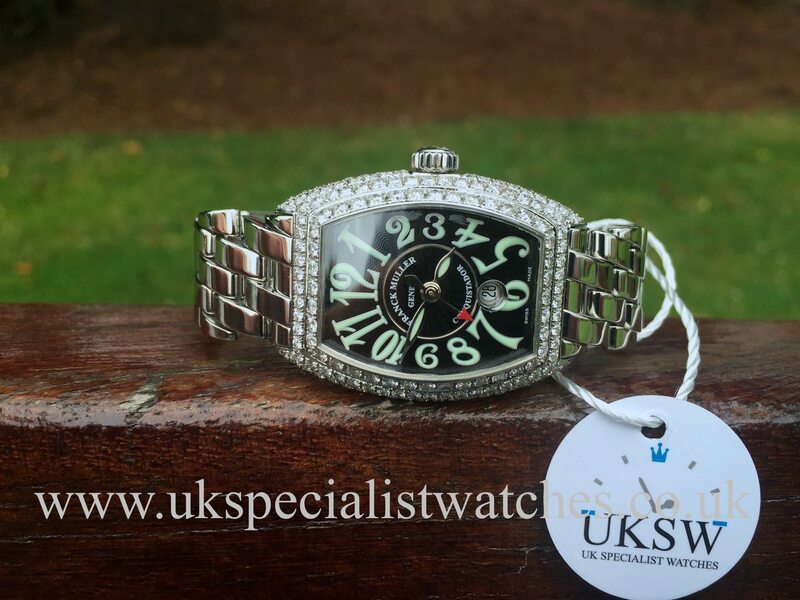 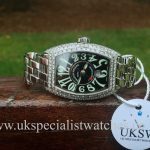 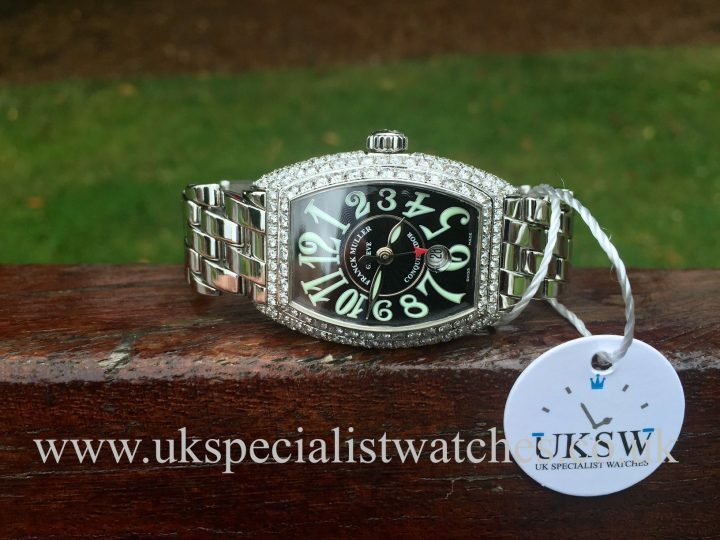 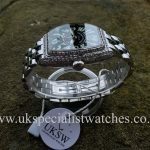 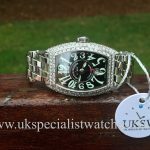 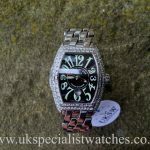 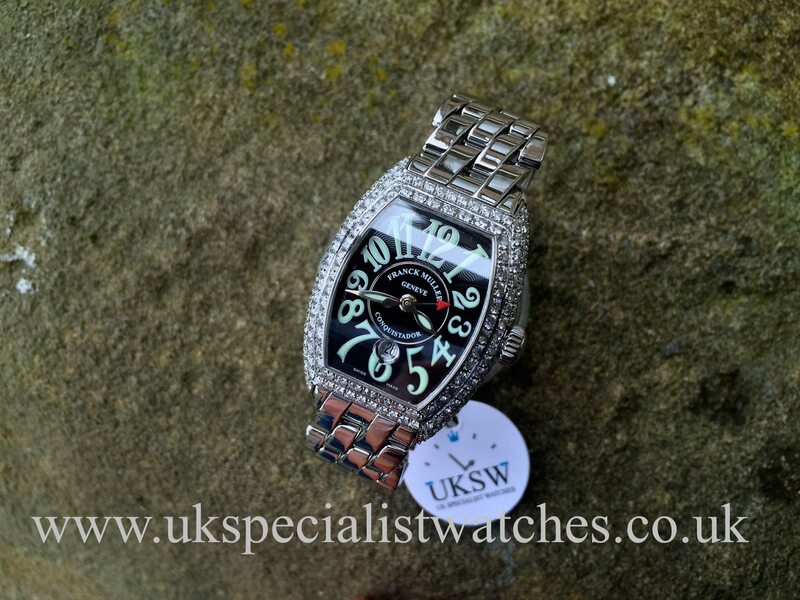 Here we have an absolutely stunning Ladies Diamond Franck Muller Conquistador with a stainless steel 35mm X 27mm case afterset with 146 brilliant cut diamonds. 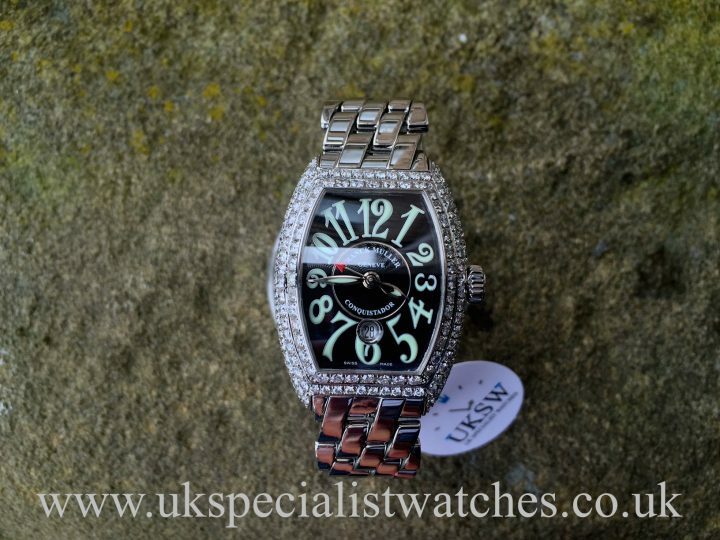 Black wave dial with the traditional exaggerated Franck Muller luminous arabic hour markers, leaf hands, red arrow second hand with the date displayed a 6 o'clock. 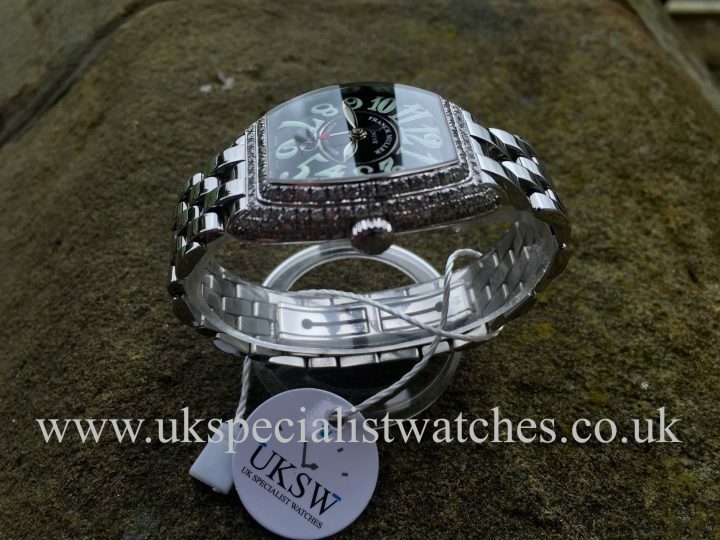 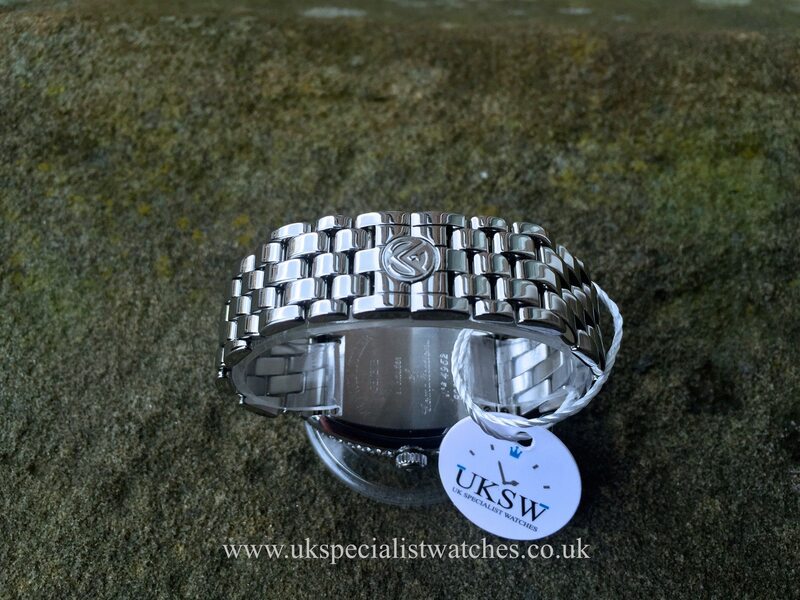 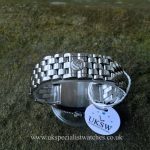 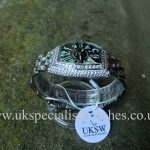 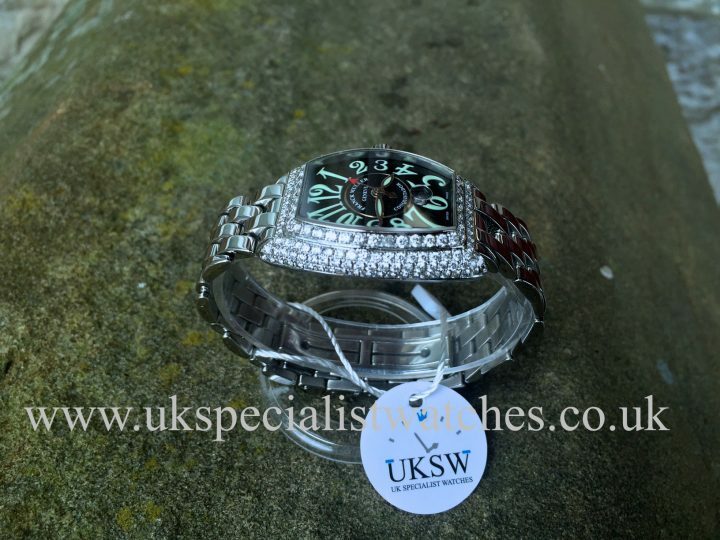 Fitted to a highly polished stainless steel Franck Muller block link bracelet with double folding clasp. 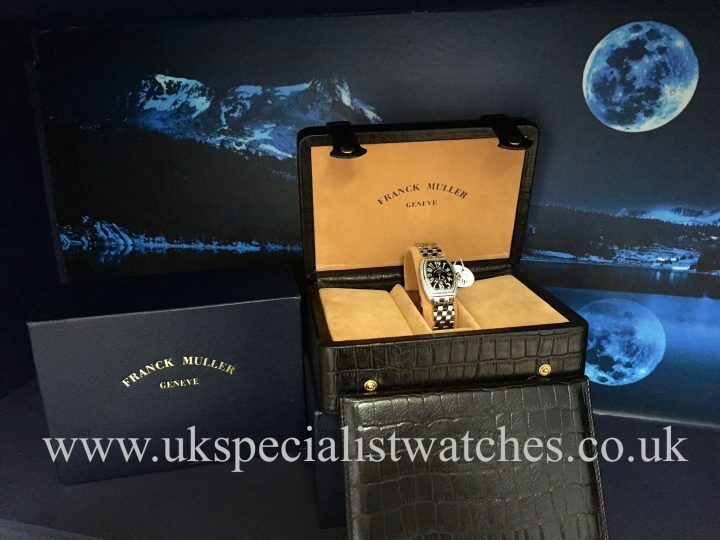 Powered by a automatic calibre ETA 2671 movement and comes complete with box, wallet and our 12 months warranty.